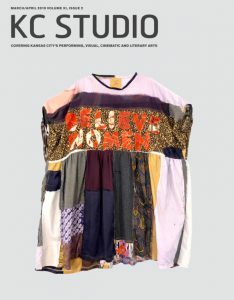 KC Studio Magazine launched in May 2008 and is published six times a year, anchored in the arts and culture of Kansas City. KC Studio covers the performing, visual, cinematic and literary arts, and the artists, organizations and patrons that make Kansas City a vibrant center for arts and culture. Great cities possess a strong arts and cultural scene, and support of the arts is an essential part of a city’s success and community growth. The best way to further stimulate audience development begins with making people aware of the many wonderful art and cultural opportunities available. That is an essential part of KC Studio‘s mission, and we strive to fulfill it in a lively, engaging way that gets people excited and involved as users and patrons of the arts. Since its launch, KC Studio has received grants from several of Kansas City’s leading Foundations. In 2016, the magazine was donated to The Arts Engagement Foundation of Kansas City. As part of a registered 501(c)(3), the magazine is now able to raise the diverse contributed support that will help fund increased coverage of our vital arts community in Kansas City. Please visit www.aefkc.org to learn more and consider making a donation.